Several years ago I planted Mexican primrose. I thought I had killed it after a year. There was no sign of it the third year, nor the fourth. If I had known it could still come back, I would not have planted the chamisa bush quite where I did. But it turned out that this was just what the Mexican primrose wanted. Native plants do not need to be spaced. In fact, they are happier in each other’s shade. And the Mexican primrose sends its stems in all directions to take its flowers to the sun. Other native plants have been active. 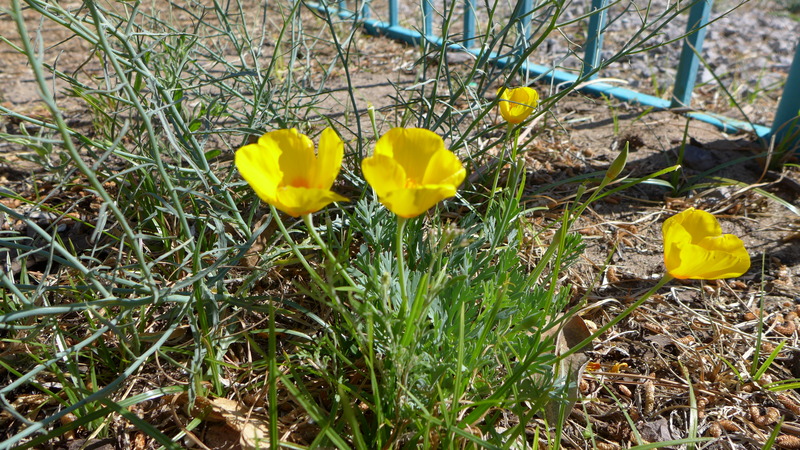 Poppies come up where ever they choose. 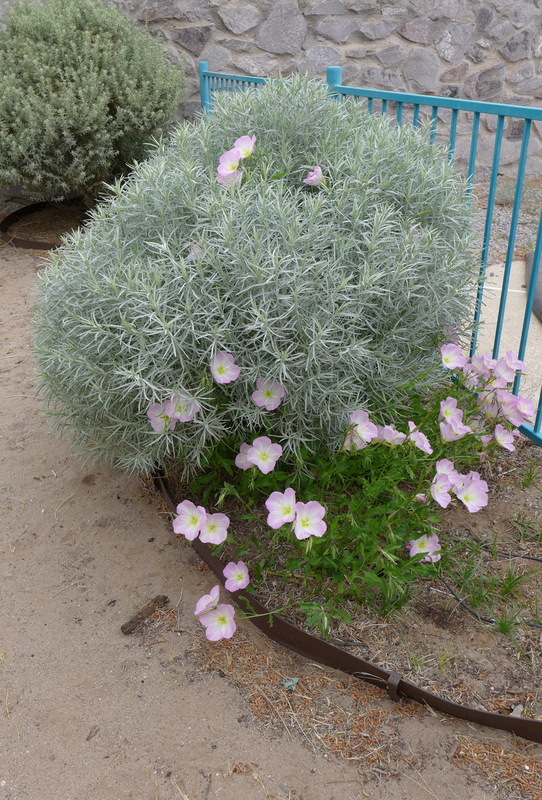 This one is sharing space with a plant I know as “wire lettuce.” It has a small pink flower, when it decides to bloom. Yucca plants which spent years squeezed by a prickly pear cactus have taken advantage of the space in the course of the two years since the cactus collapsed in an unusually deep freeze. The yucca is the state flower of New Mexico There are many varieties and the legislature neglected (or perhaps refused?) to specify which one is the official one. It’s delightful to see these plants in your garden. That’s a good point that, like us, plants want close connections. And we tend to space them out. Worth thinking more about.